"MY DENTIST TOLD ME I NEEDED A CROWN. I WAS, LIKE, I KNOW, RIGHT?!" 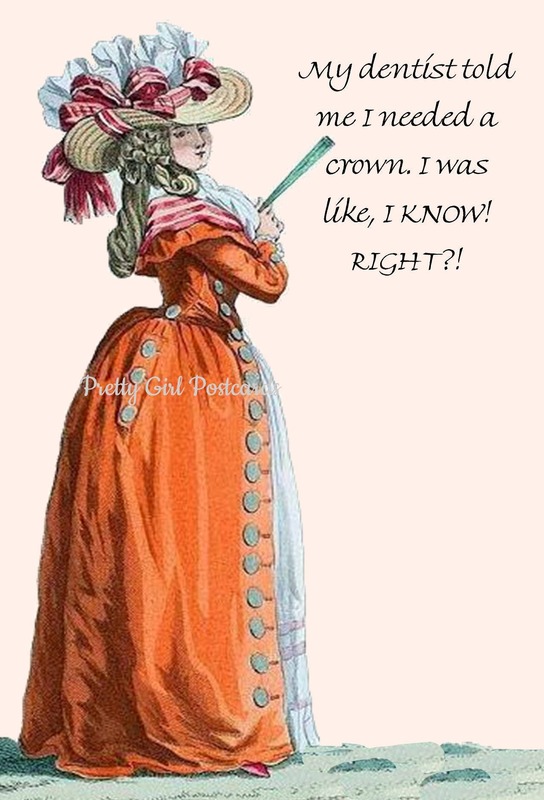 PRETTY GIRL POSTCARDS are 4"x6" funny (sweet but mostly sassy!) glossy postcards in the Marie Antoinette style. They are meant to bring a smile to your face. Even your mail carrier will laugh at these funny ladies. 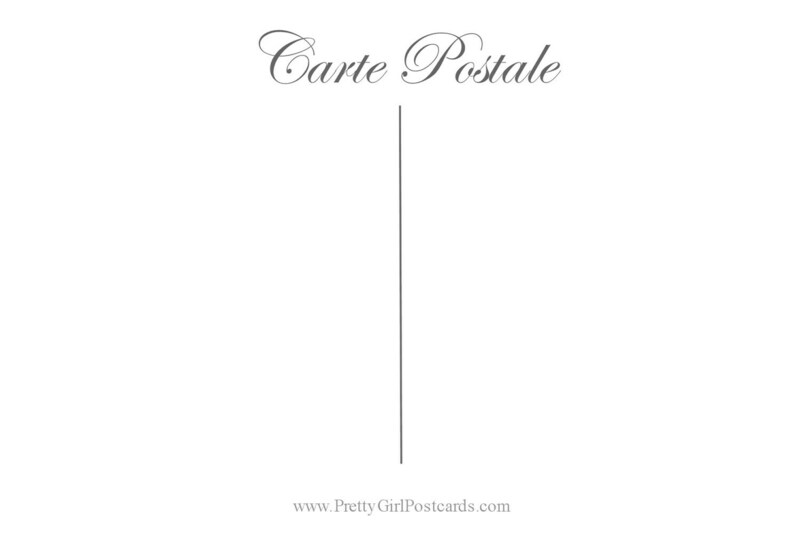 FORGOTTEN ART CARDS are 5"x7" Greeting Cards (as opposed to our Pretty Girl Postcards) with Envelope included are blank inside. Both the card and envelope are put inside a clear cello sleeve for protection until you are ready to write your own personal message inside the card. The charming and unique images represented on these Forgotten Art Cards (which are blank inside) were created over 100 years ago by great artists, many of whom are still unknown to this day. Most of these images and illustrations have been put away and forgotten for many years. FREE SHIPPING is included on all of our cards, no matter how many cards you buy.